The month with the most daylight, and the start of many Ultra endurance races, we would expect a landslide of tons this month. 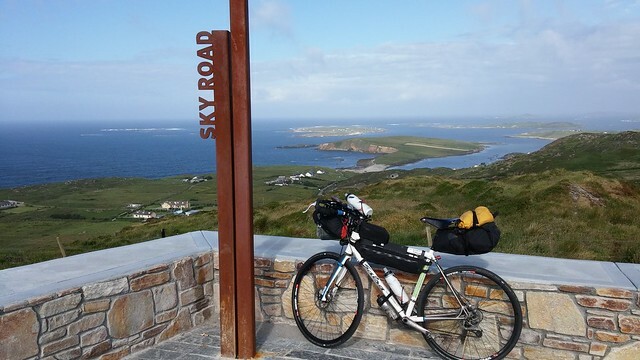 Jasmijn Muller starts the month off with a LEJOG trip. This was in preparation for a future attempt to beat the ladies record for the End to End route in 2017. It was great seeing the huge variation of trips riders took, June’s bullet points follow in no particular order. Dave Barter put in another great off road Ton ride completing a double ridgeway ride. Alex H and Graeme C collect a few doing the increasingly popular NC500 route in Scotland. A local Northants battle breaks out between Rich K and Ricki G, at times both putting in 4 tons in a week, Rich coming out on top 13 to 12 in his favour. Phil C puts in a mammoth consistent 17 for the month with 5 in one week, to move him up to third in the overall table. Richard B and Steve G join the Triple Ton club with a very fast 300 around the Lincoln area in 23 Hours. Toby Willis joins the YCC Everesting gang, the third this year to scale 8480 metres up the same climb in a day. Another event for Sarah F, Keith W and Chris H was to complete the Coast to Coast route including the Hardknott pass in one day. Dereck M and Eric R rode the other direction across the country in the South for 204 miles, chasing the sun from when it rose in Southend over to the Welsh West Coast. Commiserations to Steve G who looked odds on for the book prize going into the final three days of the month regularly posting four Tons in a week. His efforts though now move him up to fourth in the overall 2016 list above Steve A.
Steve Abraham himself took part in a 12 hour TT double ton on his trusty Raleigh riding at over 20mph average. He is certainly training hard and look out for an attempt on the HAMR month record before the year’s out; That should be 60 tons alone with his past record. Three of the Top ten riders this month competed against each other in the TransAtlanticWay Race around Irelands Wild Atlantic Way. Jack P, Paula R and George C gathered a hatful of Tons during one week battling the elements, whilst enjoying the stunning views this huge coastal route offers. This means Jack stretches out a brief gap at the top of the yearly tons table with 76, while Kajsa had a relaxing month touring to and round Sweden, still on target for the ladies highest Annual mileage record.